My azaleas are probably not going to make it on the cover of BScene or Tyler Today. In fact, there are quite a few of them that are not sure if they want to make an appearance this spring or not. It’s like they are afraid to bloom. I’m sure there is probably something more I should be doing to encourage their growth, but what? 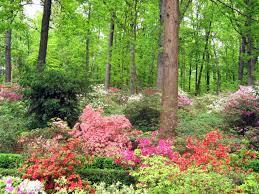 Tyler has some of the most amazing gardens with brilliant colors that fill yards from the ground to the sky. Truth be known, those gardens are given loving care and attention by gardeners who know what they need and when they need it. The touch of a master gardener can make all the difference. If you are not sure there is any truth to this, please explore the Azalea and Spring Flower Trail or the Tyler Rose Garden when they are in full bloom. You will quickly see what expert attention can deliver. Philanthropy can be like gardening. It is not that hard to identify and make good gifts to local charities. But if you are not sure if your philanthropy is reaching its full potential, there are some great resources, “master philanthropy gardeners” if you will, that can help you identify and reach higher charitable goals. What are your goals with regard to your philanthropy? Is your goal to support a local organization working with the homeless, or is your goal to instill a desire to help others within your children and grandchildren? Both are good goals, but instilling a desire for philanthropy in your children and grandchildren takes more thought and effort, and maybe some expert advice along the way. East Texas is full of generous people with a heart for helping. Fortunately for us all, there are some great professional advisers that understand people and philanthropy and how to get both to bloom. At great risk of offending many wonderful advisers in our community who can give you great assistance with your philanthropy, I want to specifically identify three individuals who have invested significant effort to become master philanthropy gardeners — Dawn Franks, Rodger Johnson and Tiffany Kirgan. Gardening is hard work, and you have to be willing to get your hands dirty to do it well. Likewise, when talking about family values and family valuables, the conversation can hit a nerve, and must be handled with care and sensitivity. Dawn Franks with Your Philanthropy, and Rodger Johnson and Tiffany Kirgan with the Johnson Financial Group are each trained in the art of guiding important family conversations. er status through the financial planning field. Rodger and Tiffany are so committed to helping people make wise choices with their philanthropy that they led two classes of Tyler professional advisers through a year-long continuing education program that has resulted in a phenomena which is unique for a city our size. Tyler now has more professionals with the Chartered Advisor in Philanthropy (CAP) designation than perhaps any other town our size in America. Why? Because Rodger’s and Tiffany’s desire to help donors reach their full potential is so powerful that it engaged our entire professional community around this mission. Today you can find CAPs in Tyler in the fields of financial planning, estate planning, accounting, investment management and among nonprofits, all working together to help you identify and reach your charitable goals. With new tax laws in place, many individuals are seeking advice this spring to maximize their charitable giving for 2018. If you are one of those, you may want to ask yourself, “Do I just want to maximize my deduction this year, or do I need to go deeper and take a look at my charitable objectives?” There are trained professionals who are eager to help your philanthropy bloom. If our staff at ETCF can help you find resources to encourage your philanthropy to reach full bloom, we would consider it an honor to be of assistance. Finding the master philanthropy gardener that is a good fit for you might be your next best opportunity to give well.